Indian space research organization (ISRO) has initiated pre-project Research and Development activities focusing on critical technologies for Human Space Fight Program. The funds allocated towards this are to the tune of 145 crore rupees. The distribution of funds for the various technical activities are under the major heads, Crew Module System (61 crore rupees), Man rating of launch vehicle (27 crore rupees), study contracts with national and international institutions (36 crore rupees) and other activities like aerodynamics characterization and mission studies (21 crore rupees). This information was revealed by Minister of State in PMO Shri V Narayansamy in reply to a question in Lok Sabha today. The Minister said that as part of the preparation of the Project Report of the Human Spaceflight Program, a study has been conducted on absorbing the program into the overall plans of ISRO without de-emphasizing other commitments. what is the criteria for selection of astronauts for indian human spaceflight? They provide ISRO with the funds to pay for a human spaceflight program. ISRO orbital vehicle rendition. From the picture, the thermal protection system (TPS) of the OV is using silica tiles for the OV sides and carbon-carbon for the bottom. SRE uses similar TPS. Whats the benefit of using silica rather than metallic TPS? Which other OV uses silica TPS? Looks similar to Dragon, but a bit smaller. An orbital module would be a handy addition, especially for Lunar missions. The crew module in the middle looks to be stretched. I like the three engine arrangement. Presumably, we have the main engine in the middle, with two backup engines at the sides. Steve, the design is being upgraded by adding an orbital module. This particular version was destined to be carried the GSLV whose payload capacity is very limited. Now, the plan has changed and ISRO will use the GSLV-Mk-III with more than twice the capacity of the GSLV for the Human Spaceflight Program. Hence, we'll not see any radical changes to this design of the reentry module rather we will see an additional of orbital module. I wouldn't expect to see the new launcher and spacecraft to be flying for nearly 10 years. Sure would love to see them berthed/docked to the ISS some day. launcher, gsLVM3 will have its first experimental flight next year. The crew module will be tested in coming 5 years. Things got delayed because of the cryo engine technology. Things mostly got delayed when the Ministry did not provide the necessary funds to pay for the human spaceflight program above the "studies" level that we all know and love. In many ways, the program was further ahead a few years back when the plan was to use the Soyuz as the basis for the design, with Russian help. But, no bucks, no Buck Rogers. ...India's goal is set for 2016 for first launch. A bit ambitious, I suppose, but it's a real goal, backed with a real budget! I wonder what standard they will choose for docking systems, or if they will develop their own. It will be interesting to see if they will arrange a visit to ISS, with the Chinese, or both. Food for thought... What if they work out an agreement with China on an Indian module for the Chinese station... China is more desperate for international cooperation than the ISS partners are for seeking new members to their "exclusive club". Also, don't forget that Israel recently signed a space cooperation agreement with India. This agreement includes all aspects of cooperation in space, including human space flight. So, it would be interesting to see what role, if any, Israel will play in the development. ISRO is considering low impact docking (LID) mechanism for RVD. its planing for a RVD experiment using IMS-1 based satellites. There is no data to indicate that the ISRO human spaceflight program is approved for much more than paper studies. In other words, I am not aware of any governmental "bold decision" to proceed with flight operations. Perhaps these posts would not be so confusing if they were not posted under the "Indian Human Spaceflight Program" topic. Don't you mean a International Docking System Standard (IDSS) mechanism? The source for 2016 is from an article over two years old. Human Space Program update: Engineering model of ISRO space suit under test. parachutes for crew module deceleration system tested. 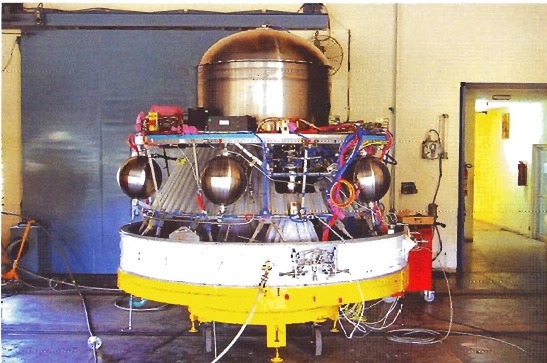 ISRO to modify PSLV PS4 (4th stage) into a service module for manned missions.